February will see the beginning of ‘Making Homes with Welcome Organisation Northern Ireland’, a very important charity campaign we're proud to be part of here at Harvey Norman. We ran this campaign last year too, managing to raise and incredible £4,945 together with our customers. This February all monies raised will be donated to Welcome Organisation Northern Ireland by way of a cash or product donation, to help end long term homelessness! • Buy a product from our 'Making Home' collection and £5 will be donated to Welcome Organisation Northern Ireland. • Add £1 to your purchase at checkout and Harvey Norman will match it. • Donate in-store all month to our fundraising activities, you can find a list of our in-store activities below. • Donate what you can online here. Your luck is in! With each store hosting its own raffle, one winner per store will walk away with a grand prize. Bring the whole family; there are even activities for the little ones! Do you have a sweet tooth? If so, our Valentines Weekend Bake Sale is perfect for you. We’ll have a super selection of tasty treats in-store for our customers, with many cakes baked by our very own staff! All proceeds will also go to the Welcome Organisation Northern Ireland. Get yourself rugby ready with our Breakfast of Champions. Have a tasty full Irish or something a little lighter to prepare for Ireland’s clash with Italy. All proceeds will also go to the Welcome Organisation Northern Ireland. Drop in-store for coffee and cake with a cause. We’ll have Nespresso baristas to whip up your favourites from lattes to cappuccinos and a selection of cakes and treats, some even baked by our very own staff! 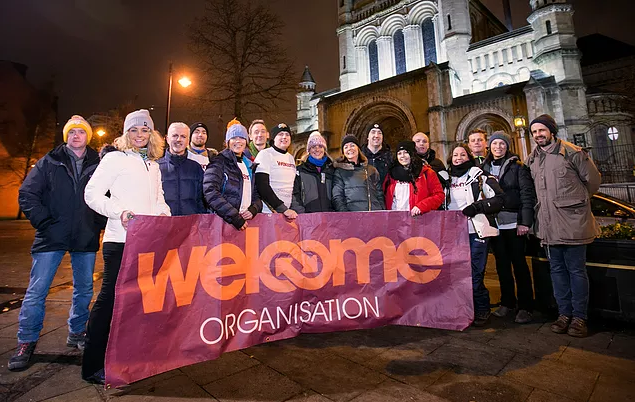 The Welcome Organisation provides a range of potentially life-saving services to around 1,400 people affected by homelessness across greater Belfast every year. We adopted a non-judgemental approach to addressing homelessness issues. All of our services are based on the principles of harm reduction delivered through low-threshold services. We are recognised for accepting people ‘where they are at’ as opposed to where others think they should be.  We help people affected by homelessness through a range of services including a Drop-in Centre, Street Outreach service, Crisis Accommodation for Women, Floating Support service and our Welcome Home project. 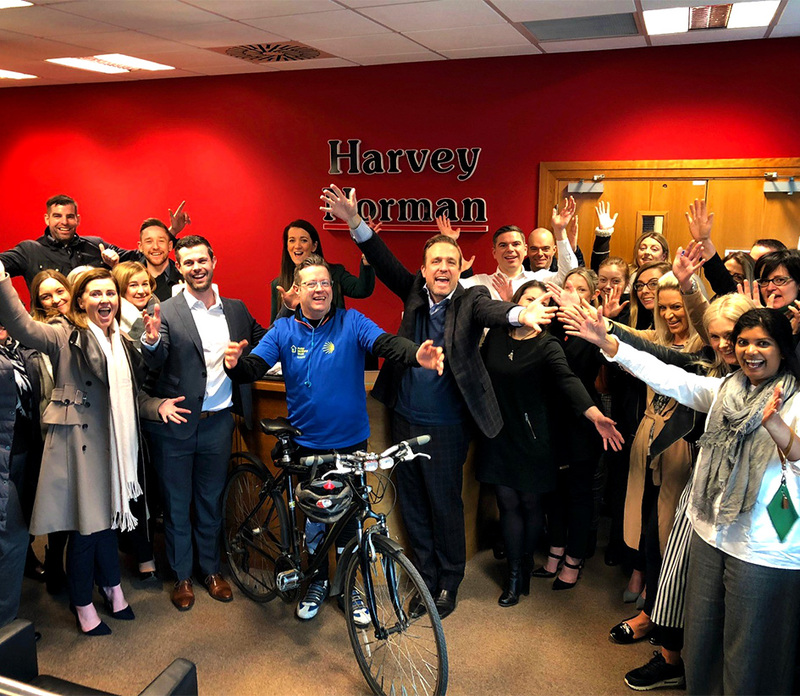 For the month of February 2019 Harvey Norman are fundraising for Welcome Organisation Northern Ireland . Our goal is to raise £10,000 to contribute to the fit-out of 20 homes. The money raised will be donated in full to Welcome Organisation Northern Ireland in a combination of products for the homes and cash for support services as directed by them. • Harvey Norman will donate £5 for every product purchased by customers from the Making Homes collection in store, the full list of products can be viewed (here, we can add in link when it is live) . The collection will be identified in-store with a sign or sticker. • Staff and customers can contribute to fundraising activities carried out during the period, money can be donated by putting it in a fundraising bucket in store. No purchase is necessary.